Aerial photos of Lincoln including Lincoln Castle and Lincoln Cathedral. Lincolnshire aerial photography and views of Lincoln from the air. All aerial photos are free to view and available as downloads or prints. Aerial photo of Crofton Road Industrial Estate. 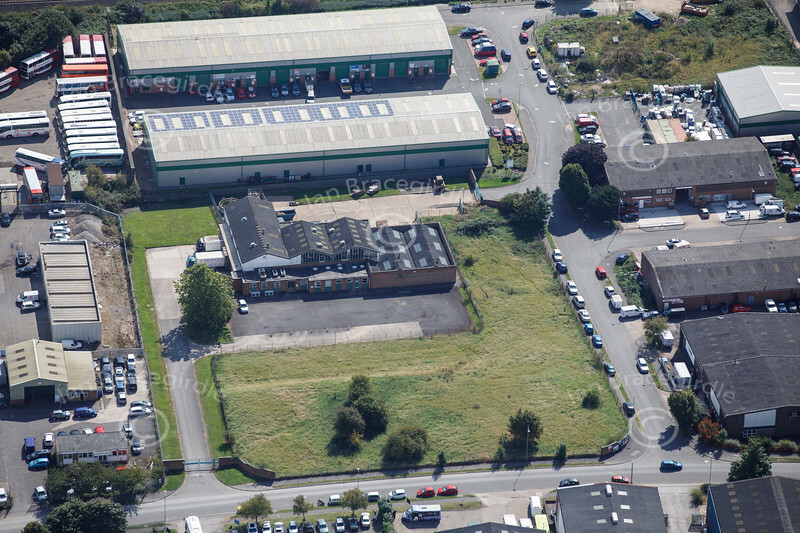 An aerial photo of Crofton Road Industrial Estate in Lincoln.